Welcome to the Newport Resort. 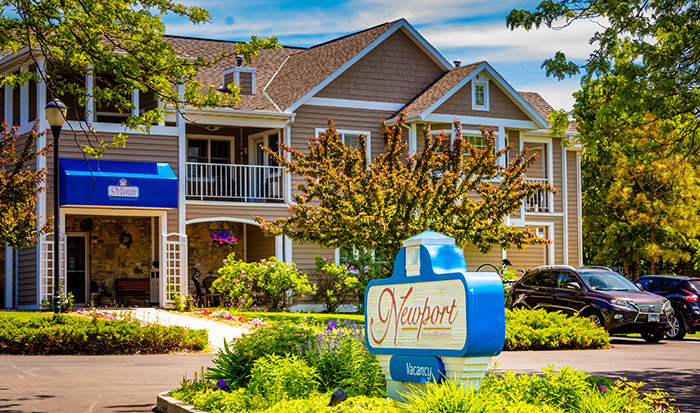 Our 59 unit family resort offers one and two bedroom luxury suites all in a popular Egg Harbor location. Each suite has a full kitchen, fireplace, and double whirlpool. We have indoor and outdoor pools, indoor whirlpool and sauna. We also have indoor and outdoor Childrens playgrounds. High speed wireless Internet. Smoke-Free Environment. OPEN ALL YEAR. We hope to be your host on your next visit to Door County! •We offer special rates for groups, bus tours and weddings.